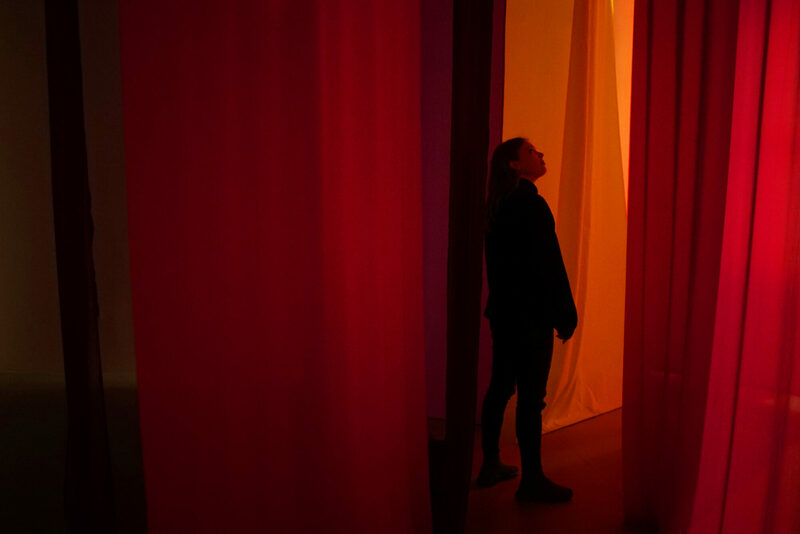 For her new solo exhibition, Ede Raadik will transform the gallery space into a lab of charts and diagrams which are based on smartphone apps that monitor menstrual cycles. The exhibition will provide a close look at the Excel spreadsheet of the artist’s health. Ede Raadik will continue her path as a feminist conceptualist who turns personal life events into numbers and graphs. The systematized tables and diagrams of smartphone apps that monitor the artist’s menstrual cycle are both homeric and self-ironical. At the same time, these drawings encourage distancing from emotional experiences and see them as typical cases in the sea of life’s Excel. In this way, these intimate events become something era-specific and the personality and drama will fade. The exhibition raises questions about the new anachronistic norms, cybersecurity, the meaning and borders of personal and public, which have changed significantly in the age of smart devices. Ede Raadik graduated from the Department of Fine Arts of the Estonian Academy of Arts; she lives and works in Tallinn. Her solo exhibition Sailin’ on the Red Sea is open at Kogo Gallery, in Widget factory, Tartu, from April 4 to May 11. The exhibition is open Wed–Fri 12pm to 7pm and Sat 12 pm to 6pm. You are welcome to the opening of the exhibition Chatty Matter and to the performance by Age Linkmann and Taavi Rei on Friday, 8th of February at 6.00 pm at Kogo Gallery. In the broadest sense, this exhibition looks at the material culture and the stories, meanings, and transformations that lie in it. There has been a long tradition in society to admire objects of tangible culture from the past, but how do we connect with objects in our contemporary society that surrounds us daily? This exhibition explores the social stories, hopes, and desires that have settled in the matter around us. Artists are like anthropologists who study the different meanings of things through form, materials, usage functions and socio-cultural histories. What kind of expectations, and meanings tie us with things around? And how does one influence his own perceptions, understandings, and habits through the material things he constantly creates around him? In our daily lives, things play an important role in both material and immaterial ways. We fetish their utilitarian or aesthetic qualities, but rarely think about their possible additional meanings and hidden potentials. Chatty Matter is based on visual and tactical research on things that have lost their function, or which function is unknown or yet undiscovered. What purposes, meanings, and ways of being manifest in things that surround us every day, when we remove the ideological meanings and utility functions attributed by man? Artists are fascinated by situations where objects have lost their purpose or commute between function and aesthetics. Through the study of decorative semi-functional things, Saarits investigates objects in which the social desirability of success and dreams of consumerism have materialized. By observing the origin stories of different things, she also analyses the topic of “thingliness” and the ontological meanings of things in a wider context. Mertes however, combines special types of materials and parts of commodities and is engaged in rethinking the perceptions and everyday habits related to things around us. Emphasizing on the material presence of the work of art and having the desire to abandon the semantic baggage of things and materials, she thus opens up their new possible meanings and uses. Thanks to: Club-Mate Eesti, Trükikoda Paar, Looming Hostel, Siim Preiman, Ingrid Allik, Brita Kaasik, Taavi Rei, Age Linkmann, Darja Andrejeva, Lauri Lest, Helena Keskküla, Kadri Villand, Eva-Erle Lilleaed, Mati Schönberg, Marten Esko. The exhibition is supported by The Cultural Endowment of Estonia; 6 pm. You are cordially invited to the opening of Eva Mustonen’s solo exhibition Spider-Woman on Friday, December 14 at 6 pm in Kogo Gallery. Deriving from the myths related to weaving (both ancient and contemporary), Eva Mustonen offers a prosaic version of tapestry as a niche and archaic textile art form. At the exhibition Spider-Woman the artist lays her creative process directly in front of the viewer. 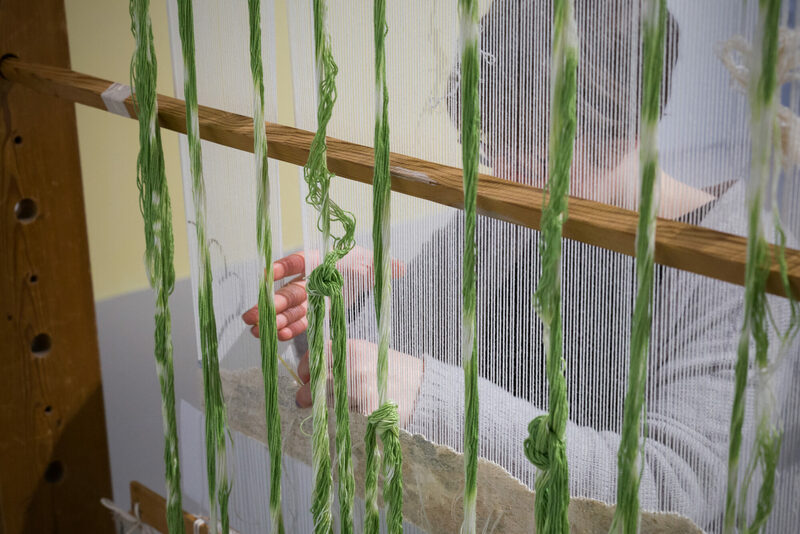 While staying at the gallery during the exhibition, the artist will be dying the yarns and weaving them into a tapestry on the looms. The day by day weaving will be accompanied by the artist’s past years interviews with Estonian tapestry artists as well as her own diary excerpts and texts that concern the history of tapestry art and it’s position in the contemporary art world, illustrating self ironically, how seemingly simple and technically easily mastered tapestry weaving can turn out to be a much more complicated affair. Today, Mustonen works mainly as an installation artist. In her projects personal narratives dominate that speak of being different, living somewhere in the margins of society. In her work, she combines both the techniques of the textile design and the products of everyday acts and doings. Mustonen’s works stand out because of her usage of tightly crafted and recognisable materials and unexpectedly beautiful mystical objects. The artist seems to be inspired by everyday simplicity, the marvellous abundance of second-hand shops and the history of women artists. Mustonen could be seen and thought about as a feminist, in which the private can often have a political dimension. Poetry installation at the exhibition "Secret Whistle in the Forest"
Starting from November 30, Kristi Kongi’s and Mari-Leen Kiipli’s duo exhibition Secret Wistle in the Forest is accompanied by a poetry installation created by poets Hasso Krull, Carolina Pihelgas and multimedia artist Martin Rästa. 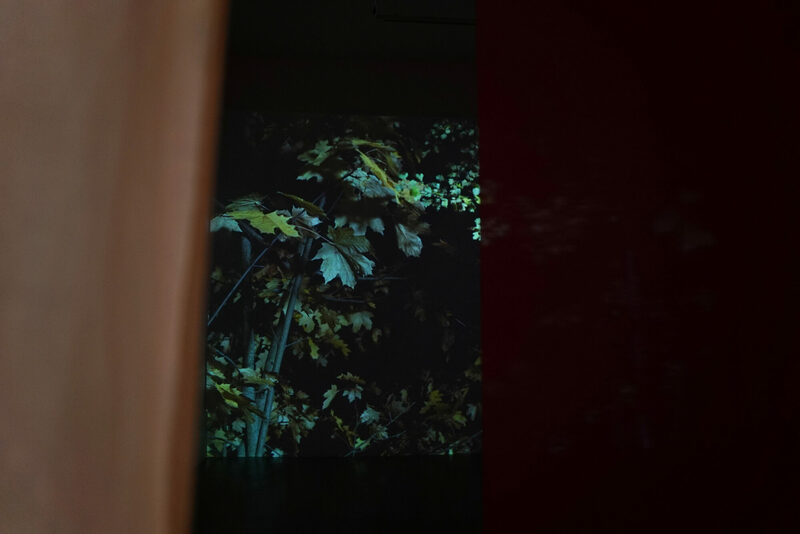 The installation consists of different poem fragments that do not replace the forest sounds but rather create a forest like room from three different sound directions. Words appear and disappear unexpectedly, only rising up for a while with the help of silence, that prevails over the speech. The poetry installation is in Estonian and together with the exhibition it will remain open until December 8. You are cordially invited to the opening of Kristi Kongi’s and Mari-Leen Kiipli’s duo exhibition Secret Whistle in the Forest on October 24 at 7pm in Kogo gallery. The exhibition is inspired by light, shadow and the idea of blurring the boundaries between different life forms. Artists create a magical space where visitors can perceive life in itself, as a self-organized substantial network. Kristi Kongi (1985) studied painting in Tartu, Tallinn, and Lahti, she currently lives and works in Tallinn. The central theme, material, and inspiration of Kongi’s art practice is color. The visual language of her paintings, which are easy to define as examples of geometric abstraction, revolves around systemic studies of light and color, being in particular analytic and organized. In her videos, MARI-LEEN KIIPLI perceives ways of standing between light and shadow, uncertainty and suspense. She explores blurred existential encounters between different forms of life and grasps the subject in the flow of relations with multiple others. Mari-Leen Kiipli (1988) studied photography in Tartu and Tallinn, did an exchange in Vienna and currently lives and works in Tallinn. Kiipli combines photography, video, and installation, she focuses on the cognitive qualities of spaces and situations. 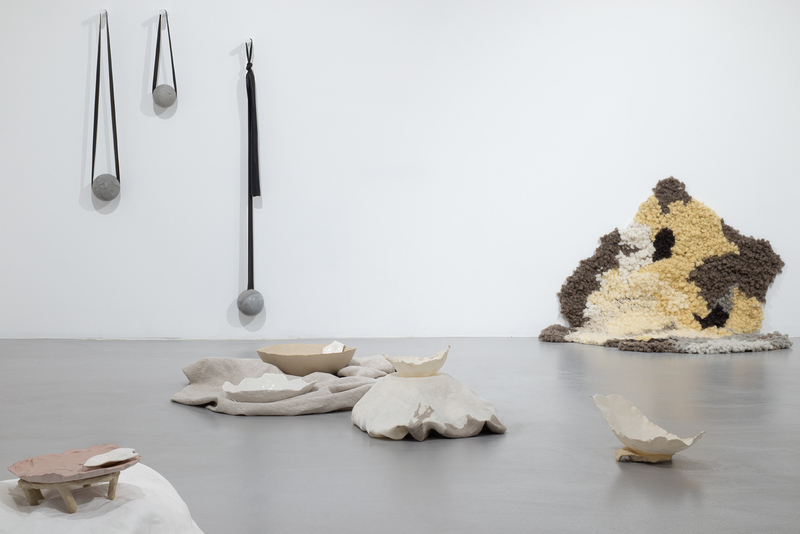 In her work, she closely observes her presence in specific environments and the functioning of the body’s memory. Kristi Kongi’s and Mari-Leen Kiipli’s duo exhibition Secret Whistle in the Forest is part of the architectural lighting design and light art festival Tartu Valgus | Tartu in Light satellite program. In addition to Kogo gallery, exhibition Vacuum as a Mindset will also open in the evening of October 24 simultaneously in two galleries – in Tartu Art Houseat 5pm and in Gallery Noorus at 6pm. The opening evening program continues in the Widget Factory (Aparaaditehas) where Kogo gallery’s exhibition Secret Whistle in the Forest will open at 7pm. Opening evening ends with a live concert by the main artist of the exhibition Vacuum as a Mindset Carl Michael von Hausswolff, at 9pm in the Hall of Love at Aparaaditehas. As part of the Tartu in Light festival Kogo galleryis exceptionally open 12pm–10pm from October 25 until October 28. The exhibition is supported by Cultural Endowment of Estonia, Pühaste Brewery, Saku and A. Le Coq.